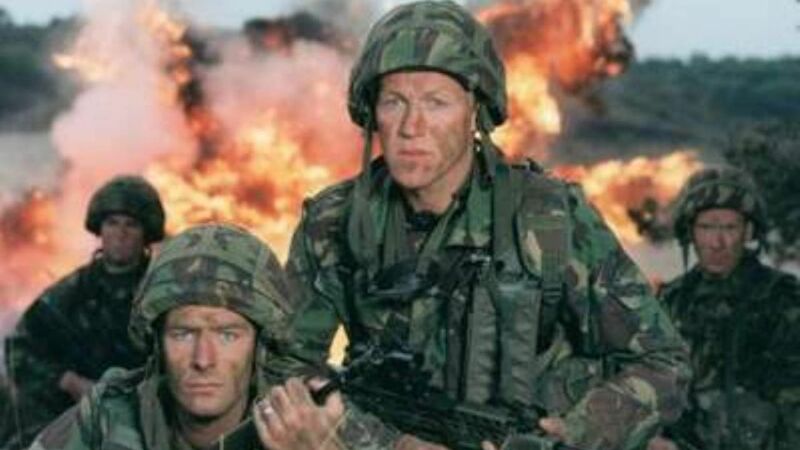 Here's where to watch every episode of Soldier Soldier season 1. Mouseover or tap an episode to see where to stream it. Click or tap the play icon to stream it on the best available service. All The Kings Men Jun 10, 1991 Company ""A"" of the Kings Fusiliers have returned from a tour of duty in Northern Ireland, all except Sergeant Bramley who was killed by a snipers bullet just before they left. Soldiers of every rank in the Company have to come to terms with returning home and the loss of their collegue but some find it more difficult than others. Fun And Games Jun 17, 1991 Major Cadman has a fight on his hands with his counterpart, Major Bird of ""D"" Company, not only in the patrol competition, but for the affections of his wife. Bird loses both and Cadman and Laura decide to make a go of their marriage. Dirty Work Jun 24, 1991 Company ""A"" are involved in helping with refuse collection from hospitals and schools during the refuse workers strike. None of the mare happy, least of all Company Sergeant Major Henwood, whose brother is one of the strikers. Tucker gets blood-poisoning and his wife, who is bored with army llife, is finally found having a night out in an out of bounds club. Fighting Spirit Jul 1, 1991 When Corporal Tony Wilton, the Kings Fusiliers top boxer, is knocked out of the team, Garvey and Tucker plan a betting coup. Their scheme is wrecked,however, when in a shock development Wilton is recalled. Meanwhile the wives and Nancy find an acrobatic way of witnessing the men - only the climatic final. Loyal to the Corps Jul 15, 1991 In a fit of jealous rage, Fusilier Dave Tucker attacks an NCO and is court-martialled. Will he be discharged from the army, the only family he knows? Tucker's defending officer, Lieutenant Nick Pasco is forced to choose between the army and the woman he loves. Flying Colours Jul 22, 1991 In the final episode of this series of Soldier, Soldier, a black cloud hangs over ""A"" Company when a large scale theft is discovered from the military stores. Color Seargeant Ian Anderson hears he has won commision into the Intelligence Corps, but his good news is overshadowed when he discovered a large amount of equipment in his care is missing. the theft puts a big question mark not only over Ian's chances of becoming an officer but also over his future with the army.